With Day 1 of Bumbershoot 2011 in our rearview mirror, we wanted to take a few moments to share with you some of our favorite shots of the day. We’ll share more thoughts throughout and following the three-day event but we’ll throw some initial reflections in this post as well, if you’ll indulge us. If not, just skip to the photos. From hearing some old favorites to buzz bands to music legends, Day 1 ran the gamut for us. We were blown away by the energy and skill of Minnesota’s Astronautalis. With one camera in the photo pit and one in the crowd, we were surprised to have just as many close-ups from each location as Astronautalis (a.k.a. Andy Bothwell) was in the crowd nearly as often as he was on stage. 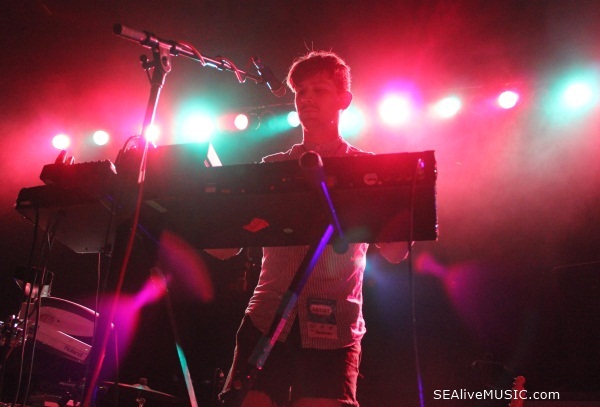 Champagne Champagne have become fixtures at Seattle festivals and the group’s easy repoire with the crowd makes it easy to see why they’ve amassed such a devoted following in Seattle and beyond. 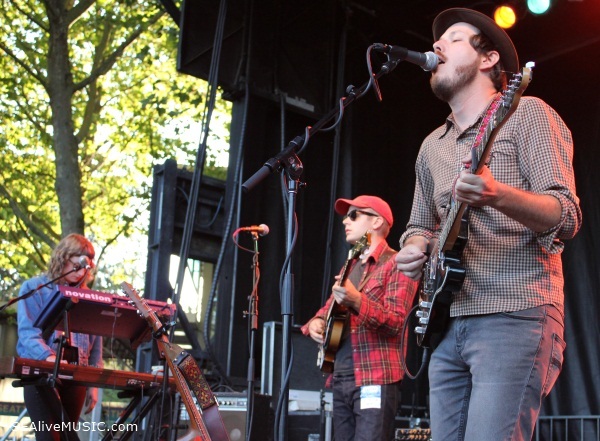 While we’ve been fans of Vetiver for some time now, seeing them today solidified their place among our favorite bands with a comfortable retro sound. 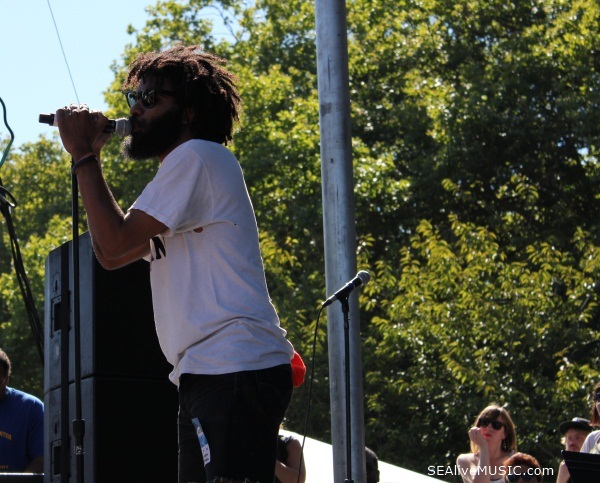 Their new songs sounded great at the Fountain Lawn stage and at the KEXP music lounge. We heard a lot of buzz prior to Little Dragon’s set and the Swedish band certainly didn’t disappoint. 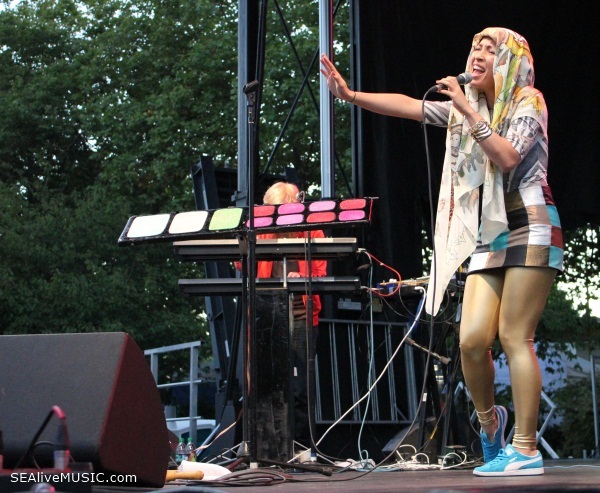 The backing band served up some the most aggressive beats of the day and frontwoman Yukimi Nagano charmed the crowd with her dance moves and melodic vocals. 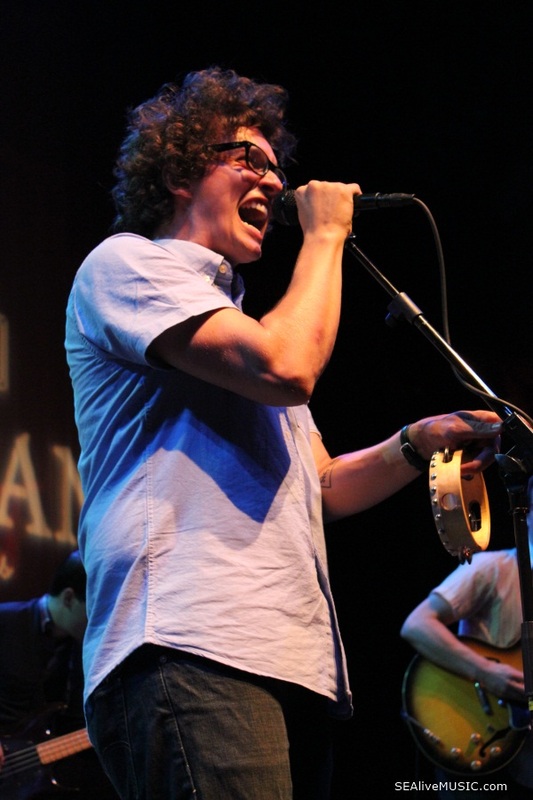 As Pickwick made it on our top 3 can’t miss acts of day one and as #1 of the top seven Seattle bands at Bumbershoot, it came as little surprise that the EMP Level 3 stage became one-in-one-out well before the band took the stage with a line numbering a hundred plus soon thereafter. STRFKR drew one of the largest, most hyped crowds of the day. The band’s signature synthy dance tunes had the crowd jumping and dancing pretty much from the sound check. 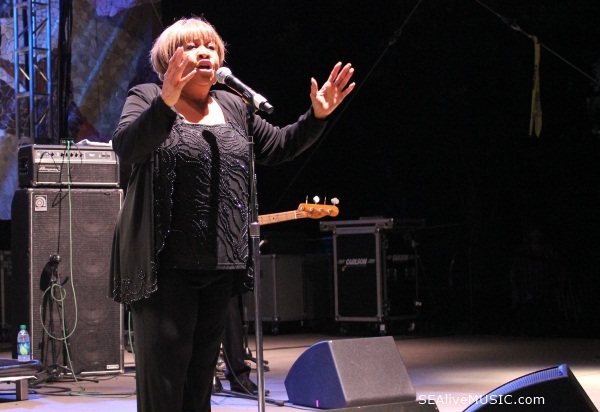 There’s just something to seeing a 72 year old woman sing her heart out that’s unlike anything else, and Mavis Staples sure is spunky for her age. It was surprising and fun to see Seattleites singing and clapping along to gospel tunes when we’re known for being one of the most “unchurched” cities in the nation. We agree. 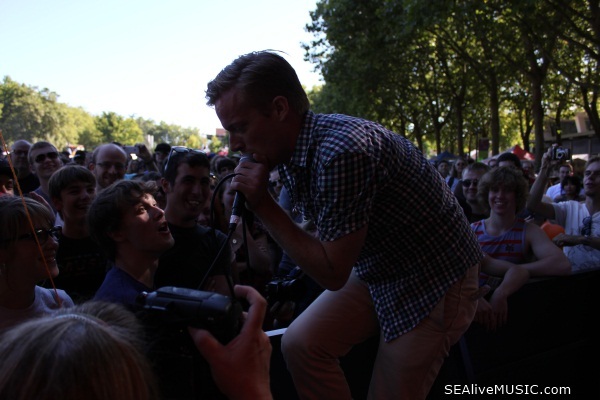 We’ve got another Astronautalis shot in our recap post: https://sealivemusic.com/2011/09/06/random-reflections-our-thoughts-on-the-new-priorities-of-bumbershoot-2011/. Also, we were lucky enough to snap some great photos from the crowd. http://twitpic.com/6fmzbf and http://twitpic.com/6fmz0t.